The folks over at IGN may have just landed the ultimate Verizon roadmap leak for the next couple of months. We’re not even sure where to begin with so many exciting things to point out including potential release dates, but we’ll do our best to contain ourselves and make this simple. The big things of note are the confirmation of the Samsung Stratosphere that we’ve been talking a ton about lately, the HTC Vigor replacing the Thunderbolt, and a new LG Revolution 2 that we semi-confirmed the other day. DROID Bionic: (9/8 launch) – You already know everything about this device, don’t you? 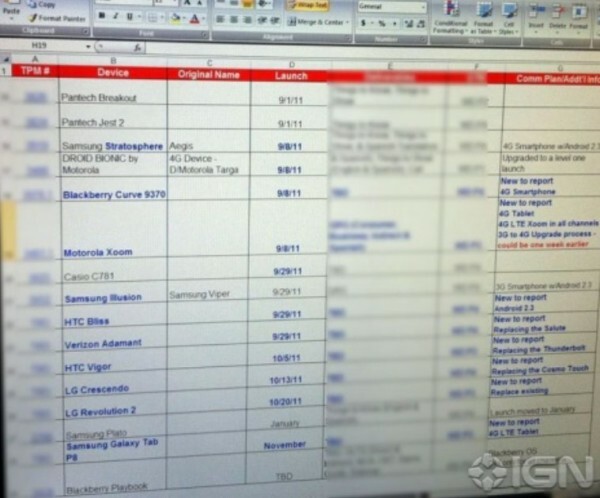 Samsung Galaxy Tab P8 (November launch) – Could be the 8.9″ Galaxy Tab? 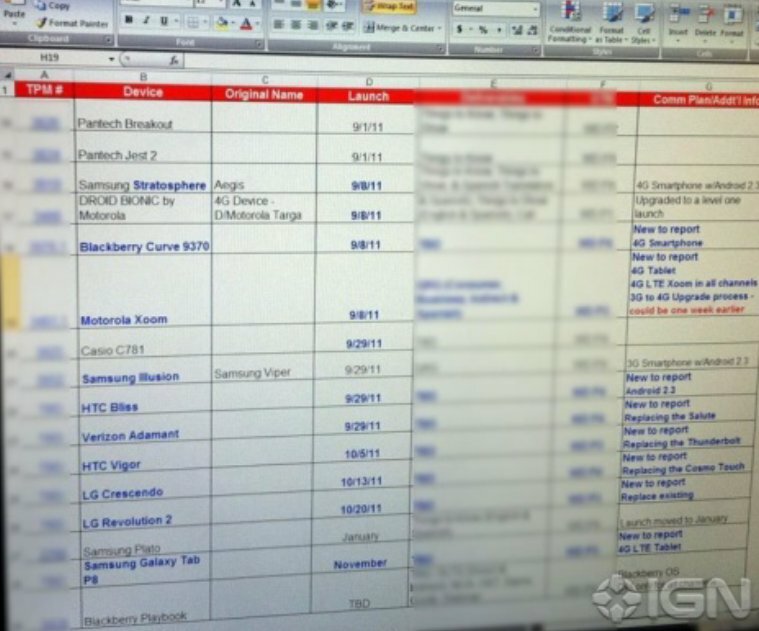 HTC Bliss: (9/29 launch) – Lower end Android 2.3 device; the chick phone? Motorola XOOM 4G LTE: (9/8 launch) – Assuming this is the date that the 4G LTE upgrade starts. Also when the 4G LTE version will be in stores. Still no word on whether or not the Stratosphere is the Galaxy S2, but it could be battling it out directly with the Bionic should they both meet that 9/8 launch date. Folks will have to wait for the HTC Vigor which will make its debut the following month to replace the Tbolt as one of the most anticipated devices we have reported on in a while. And we could see some additional Android players on all sorts of levels. So August may indeed be as boring as we predicted, but this fall is looking to be spectacular.